Dr Anthony Dracopoulos from the University of Sydney will present a lecture about the poet Miltos Sachtouris, onThursday 20 July, at the Greek Centre, as part of the Greek History and Culture Seminars, offered by the Greek Community of Melbourne. 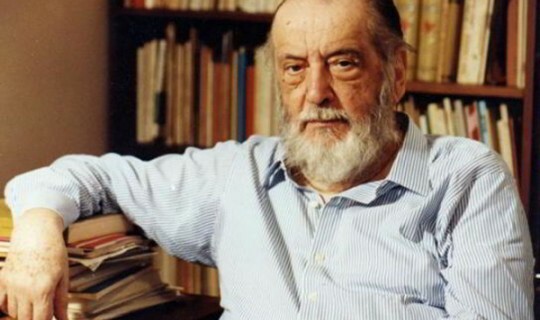 For the poet Miltos Sachtouris (1919-2005), the arduous position of the human condition is connected to man’s distancing from sacredness, the forgetfulness of mortality and the absence of dreams. Heaven, dream and poetry are put forward as tools of measurement, indicating the distance of man’s current earthly existence from authentic being. Although this distance cannot be bridged, the poet’s efforts are not pointless. By representing contemporary reality with cruel, horrific and nightmarish images, the poet reminds us that harshness, irrationality and inhumanity are often veiled through the blindness of repetition and habit and thus, he calls us to an awakening, to a return to that which has become distant and foreign. Dr. Anthony Dracopoulos is Senior Lecture at the University of Sydney, where he teaches modern Greek and Comparative literature. He has published extensively on Greek modernism, G. Seferis and C.P. Cavafy. He is the author of G. Seferis and Criticism. The reception of Seferis’ Work (1931-1971), Athens, Plethron, 2002 and C.P. Cavafy. The Open Work, Athens, Topos, 2013.